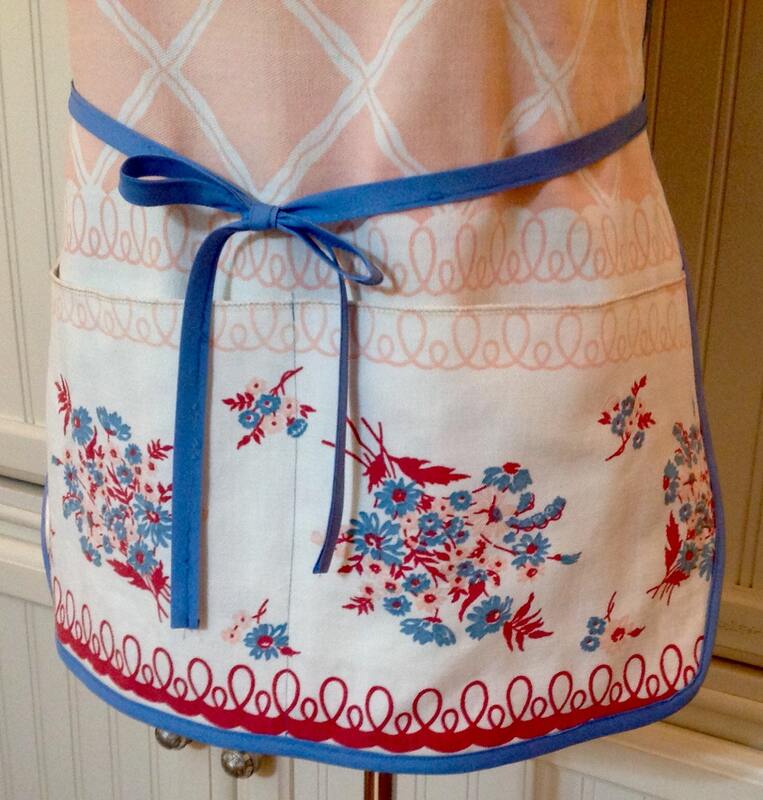 This apron is modeled after a traditional chefs apron, but using an up cycled vintage tablecloth and bias binding to add a bit of shabby chic style. If you look closely you will see that I have "fussy cut" the table cloth for the large two compartment pocket in order to show off the vibrant flowers. The beauty of this often washed cotton material is that while it has retained its beautiful colors the cotton has softened to feel like a warm hug from grandma. 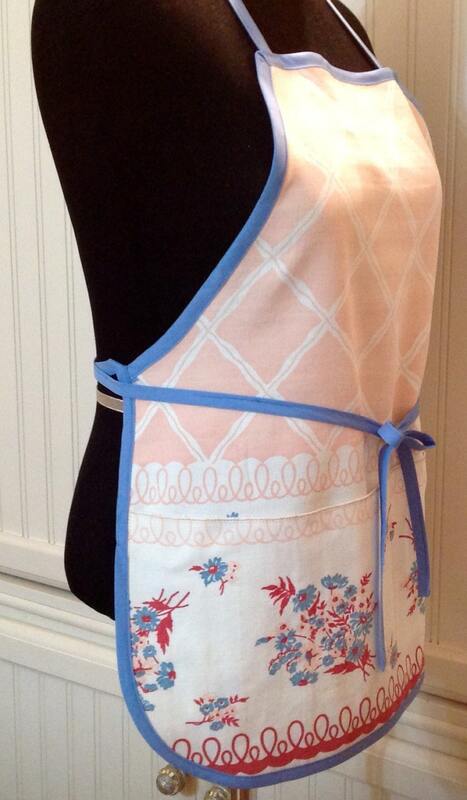 The Blue in the flowers is echoed in the blue bias binding trim and ties. The neck tie is stationary and easily slips over your head while the waist ties are extra long allowing them to be tied in back or front as pictured. 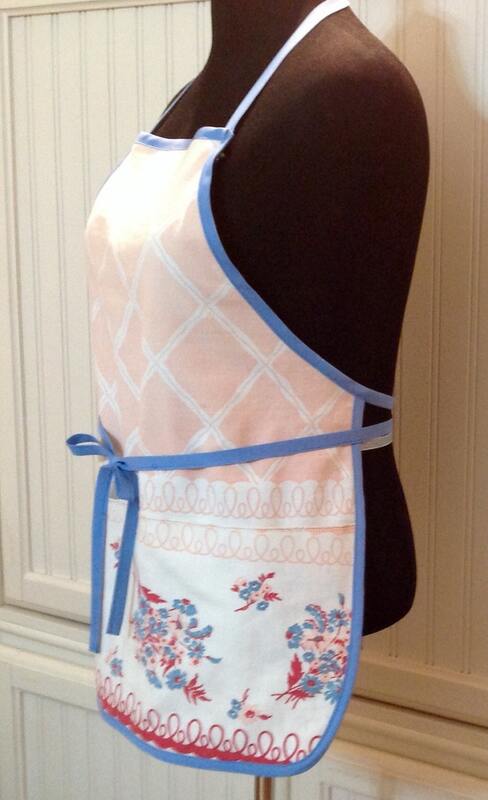 This is meant to be a hard working apron and the style compliments any figure type. Don't let its beauty deceive you. 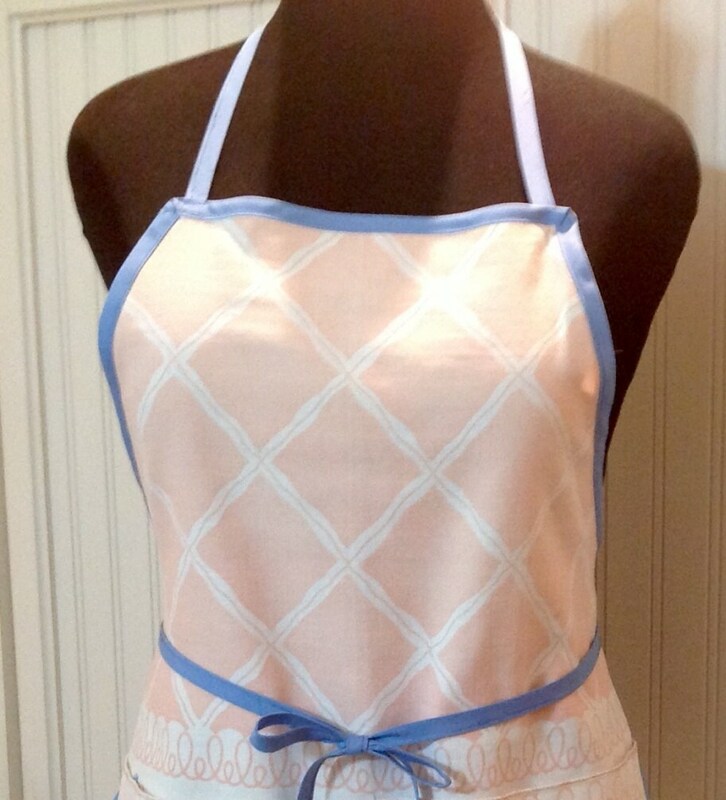 The apron is a sturdy cotton destined to become your favorite kitchen wardrobe. 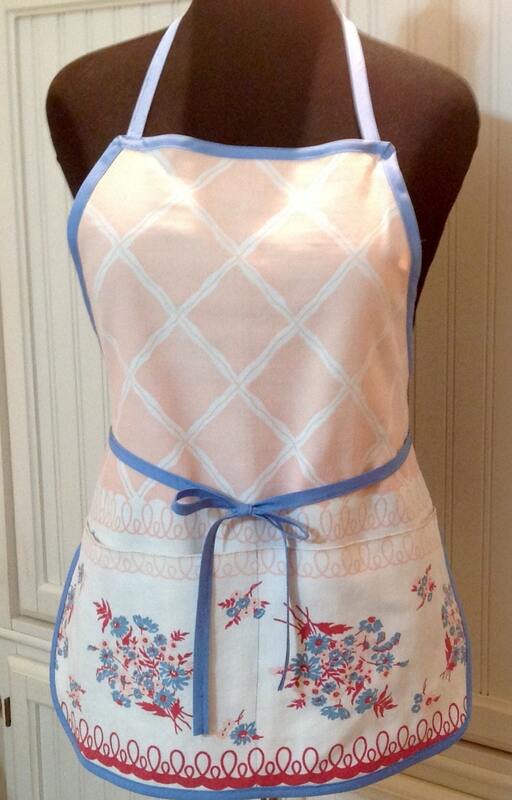 I can almost smell Sunday dinner in the oven!